Charikot – Devi Secondary School based in Bhimeshwor Municipality-8 in Dolakha has around 450 students. But, the students feel physically unsafe at school as high-tension cables precariously pass overhead. Wires of 132 KV transmission line are loosely hanging around the school area. Likewise, eight poles have been installed near the school to supply electricity to the village. School children feel living under a sword as they fear that flow of electricity can touch school structures with corrugated iron roofs at any time. School teachers, guardians and parents are worried about the safety of school children and themselves, said one Kaji Budathoki. The school is running classes up to plus two in iron-roof huts after the 2015 earthquake damaged its building. It has the reputation as the leading academic institute in the district. The school is neither in the position of adding more infrastructures due to this problem nor has a piece of land (somewhere) to shift the school. During rains, lightning and storm, the school remains closed bearing in mind possible accident due to overhead power line. 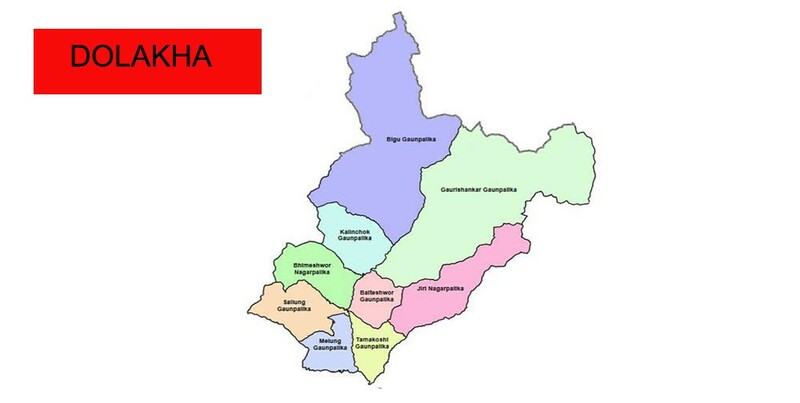 Nepal Electricity Authority Dolakha branch office said that it can't do anything on its part regarding the problem as the government had provided compensation for land to be affected by the installation of high tension lines. Construction of physical infrastructure within area of nine meters from the route of the transmission line is not permitted and shifting of electric poles is not possible either. "It is very risky to construct or run any physical structure like school below or near a transmission line," he said, adding that their repeated calls in this regard to concerned authorities like government authorities, lawmakers and local political parties have fallen only on deaf ears so far. The school is caught in double whammy. The District Education Office has released Rs 9.8 million to construct a school building in the same place just below the transmission line. "It is risky to construct a school building below the high tension line, but there is no alternative to a new school building as students are forced to attend classes under open sky," he said.